I visited Asheville, NC last week. I only had one day for waterfall hunting. I enjoyed Soco Falls. 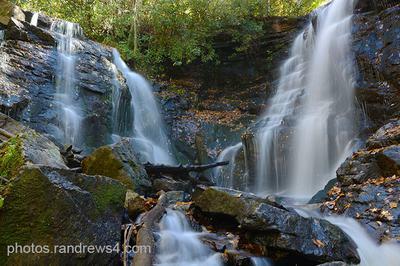 I’ve never seen a double falls like this where two branches of a creek come together at the bottom of the gorge. There is a viewing platform near the highway. The view from the bottom of the gorge is much better, but the climb is not easy.